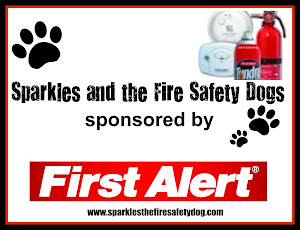 Fire Safety Rocks: Sparkles' Safety Spot: Episode 128: February 28, 2014 from Lincoln, Nebraska! 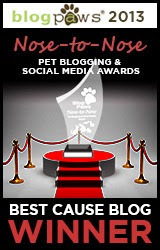 Sparkles' Safety Spot: Episode 128: February 28, 2014 from Lincoln, Nebraska! 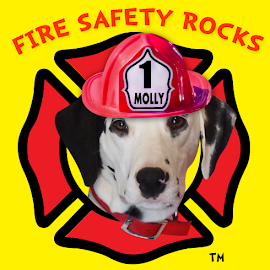 Join me, Molly the Fire Safety Dog, and Firefighter Dayna in the 128th episode of the live streamed children's safety show, Sparkles' Safety Spot. Our special guest was Firefighter Corey. a firefighter and Student at Southeast Community College in Lincoln, Nebraska. We were also so excited that boys and girls from the Child Development Center were also there and part of our LIVE studio audience! 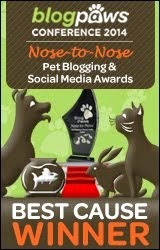 It was the very first time that we have live streamed with a room full of boys and girls watching and participating! Firefighter Corey showed three tools that firefighters use when fighting a fire and he even shared his favorite fire safety tip: Be sure to have working smoke alarms! 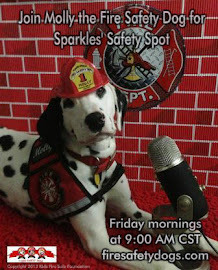 You can watch Sparkles' Safety Spot LIVE every Friday morning at 9 a.m. CST HERE! 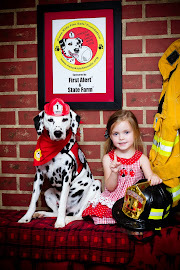 Thank you to Firefighter Corey, Terry Spoor, Program Chair for Southeast Community College's Fire Protection Technology Department and to Southeast Community College Child Development Center and Southeast Community College in Lincoln, Nebraska!